Health Product Declarations (HPDs) provide a standardized way of reporting the material contents of building products and the health effects associated with these materials. The HPD is developed according to the directions set forth by the Health Product Declaration Collaborative (HPDC). We help building product manufacturers develop HPDs to validate a product’s claims and increase the chances of getting specified under LEED v4. Major AEC firms have already begun requesting HPDs. Firms such as Perkins+Will and ZGF are encouraging manufacturers to provide HPDs. Getting specified increases exponentially if your product has an HPD. The Health Product Declaration (HPD) Open Standard discloses product contents and potential associated human and environmental health hazards. Hazard associations are established from the HPD Priority Hazard Lists, the GreenScreen List Translator, and when available, full GreenScreen assessments. In order to develop an HPD, product contents include a product’s homogeneous materials as well as the itemized chemical substances that comprise each material. GreenCE helps building product manufacturers navigate the complexities of the HPD to ensure the document meets specifiers needs and the mandatory requirements set forth in LEED v4. The HPD replaces redundant and conflicting reporting formats, with a unified format that is accepted by leading materials disclosure and evaluation tools, green building rating systems, and sustainability organizations. Health Product Declarations are excellent tools for manufacturers that can provide a complete accounting of their product contents and the associated health hazards. GreenCE and its partner Elixir Environmental help building product manufacturers complete their Health Product Declaration and ensure it meets the mandatory requirements. We identify all ingredients in your product by working with your supply chain. Our team assists you in gathering and reporting the information required to complete your HPD template. The ideal for the HPD's inventory of contents is 100% disclosure for both content identity and hazards. The HPD Open Standard supports a variety of standards when disclosure limitations exist, including intellectual property concerns, technical capacity and supply chain communication gaps. GreenCE is vigilant in developing HPDs that protect building product manufacturer’s intellectual property, trade secrets, and proprietary ingredients. A common myth about the HPD is that it doesn’t protect intellectual property. This is simply not true and GreenCE works with building product manufacturers to clarify the development process. Google builds the world’s healthiest buildings and has very strict requirements for building product specifications. Building product manufacturers who want to get specified on Google construction projects via Google Portico, should develop a HPD. Google Portico supports the HPD Open Standard as a format for data entry, content inventory, characterization and screening. The HPD Collaborative™ has outlined several steps to create a Health Product Declaration. GreenCE helps you complete these critical steps. INVENTORY - Collect the documentation and list product contents. ASSESS - Review contents against authoritative chemical Hazard Lists. COMPLIANCE - Provide the details of product testing and compliance. ACCESSORIES - Note installation/maintenance/cleaning/operations materials. SUMMARIZE - Confirm the summary page, fill in explanatory notes & release date. Developing an HPD can be a daunting task. Our team has developed HPDs across the entire construction industry including paints, adhesives, wall coverings, insulation, acoustic products, tile, wood products, lockers, bathroom accessories, countertops, and many more. Our group of experts has streamlined the process to develop HPDs in the most efficient and effective manner in the industry. Building product manufacturers are rarely aware of their entire supply chain until they have developed an HPD. The HPD development process helps building product manufacturers identify all of the players in their manufacturing process, often times vendors and suppliers up the supply chain so far that they are unaware of them. GreenCE will research your supply chain from Tier 1 to Tier 1000 if we need to obtain all the necessary information to develop your HPD. Building product manufacturers have several new opportunities to get specified by contributing points on projects under LEED v4. 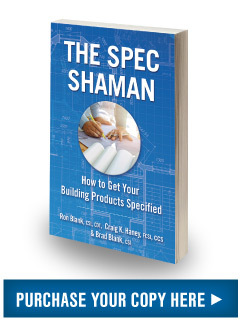 Building product manufacturers can contribute up to 2 points under the LEED credit Building product disclosure and optimization - material ingredients. The LEED credit states that projects must use at least 20 different permanently installed products from at least five different manufacturers that use the HPD to demonstrate the chemical inventory of the product to at least 0.1% (1000 ppm). Both HPD 1.0 and 2.0 can be used to achieve this credit. Building product manufacturers must meet mandatory requirements to help contribute LEED points under this new credit in LEED v4. GreenCE ensures that building product HPDs comply with LEED requirements including Option 1 and fulfill the provisions for Summary, Content, Certifications and Compliance, Accessories, and the General Notes sections. Getting specified on LEED certified projects can be a difficult task but GreenCE provides a streamlined path to achieve the new HPD requirements.